FJ80 Land Cruiser rear sway bar relocation brackets for a 2 - 4" suspension lift. These brackets are laser cut and formed out of 3/16" thick material and cad plated. 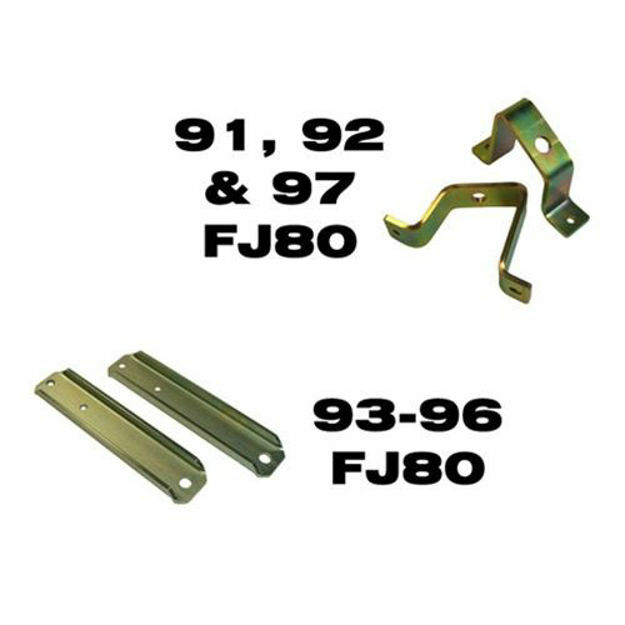 Please note that the brackets are specific for certain years of the FJ80/FZJ80 era Land Cruiser.